South Africa attaches great importance to its ties with India, says Pule Malefane, Consul General of South Africa in India. “The bilateral relationship that SA and India enjoy has developed to such an extent that we are in the process of negotiating a preferential trade agreement (PTA),” said Malefane in Mumbai. Both nations have laid great emphasis on south-south economic integration and cooperation within BRICS. Initiatives to boost economic ties include the establishment of the India-South Africa Joint Ministerial Commission, and the India-South Africa CEO’s Forum. “Various agreements have also been entered into, in particular, the General Trade Agreement, cooperation on defence issues and SME development and capacity,” revealed Malefane. India and South Africa need to consolidate the gains that have been made so far, insisted the consul general. After China, India is positioned as the second-largest member state within the BRICS. Elizabeth Thabethe, South Africa’s deputy trade and industry minister had earlier led a delegation of South African businesses to participate in the country’s fourth investment and trade initiative to India. These initiatives come ahead of the annual BRICS summit in Durban later this month where the BRICS Business Council will be launched. Bilateral trade between India and South Africa is expected to reach $15 billion in 2014. Trade activity has more than doubled since 2011 and investment from India has also soared over the past few years with giants like Tata wrestling for a share of the local market. 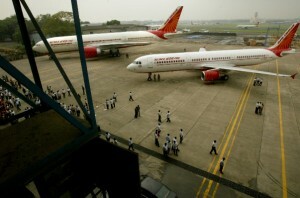 South African companies, Bidvest and Acsa won a concession to operate, develop and manage Mumbai International Airport. Thabethe said: “The South African economy offers a multitude of opportunities. This is something to which a number of Indian companies doing business in our country can attest to. She added that South Africa and India had laid the best seeds of cooperation to make the environment conducive for business. “It is now time for these seeds to receive the necessary care so that they can spring to life in the months to come and bear quality fruit. “I believe that the fundamentals are in place to steer us towards achieving the $15 billion target by 2014 as set by President Jacob Zuma during his state visit to India in 2010,” Thabethe said.